Are you interested in being a union rep? 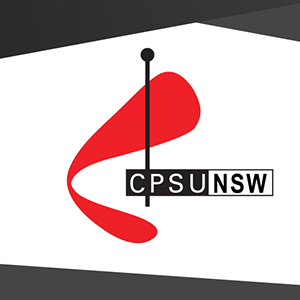 Newcastle Uni is setting the schedule for this year’s Consultative Committee and your CPSU NSW is looking for active members who want to attend and then help get the information out. Consultative Committee meetings are a way for issues and information to be shared between staff, unions and the uni. They are attended by university senior management and CPSU NSW reps to discuss and share issues that may have impact across large parts or all of the uni, including the implementation of the Enterprise Agreement (EA). As a representative attending the committee, you’ll be at table to assist with the discussions that may impact you and your colleagues and the implementation of the EA. You will be able to provide feedback to other Members and Staff and be a channel to allow their voices to be heard. We are looking for representatives from the Callaghan and Ourimbah campuses as well as members who are willing to attend if someone is unable to make it. All meetings are from 3pm and held in the Chancellery Building, Callaghan Campus. If you are interested, please let us know by COB Thursday 14 February to allow us to notify Newcastle Uni. A bulletin will be published shortly after each JCC to advise all members of what was discussed. If you’re interested in becoming more active in your campus and union, please contact us and let us know. Ask your colleagues to stand with you by joining CPSU NSW today. CPSU NSW members are also members of the Public Service Association of NSW. The PSA is the Associated Body for, and resources and manages, the CPSU NSW.